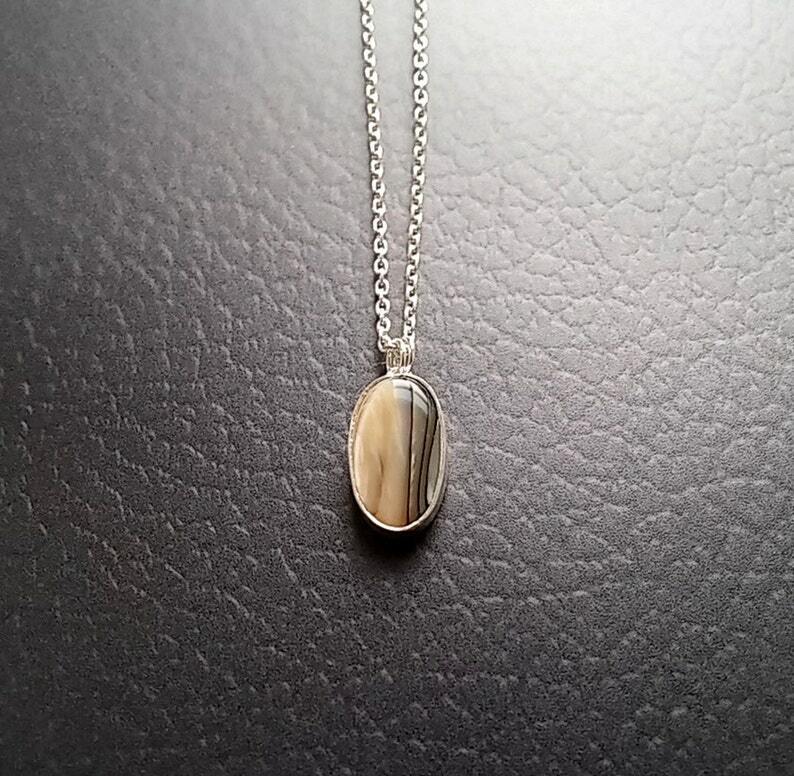 This small abalone shell pendant is approximately 15mm x 9mm. Its unusual taupe and grey combination with black stripes makes it an elegant accent for any outfit. Depending on the angle, it changes colors to light and dark. The pendant hangs on a sterling 17" long chain.